Equalization Tanks | Modutank Inc.
Equalization of wastewater tanks is a vital part of waste management systems and for the minimization and control of inconsistencies in wastewater. Both primary types of equalization tanks; equalization of contaminants and equalization of flow, are engineered to deliver a constant rate of flow and contaminants to water treatment systems. In general, larger equalization tanks provide greater absorption and more effectively reduce the impact of batch dumps and unwanted discharges. Large industrial manufacturers are forced to deal with varying rates of biodegradable and inhibiting constituents, along with toxic constituents and other waste flow to their water treatment facilities. Under such conditions, equalization tanks are used to reduce the amount of chemicals utilized, minimize temperature variations, maintain the appropriate PH level, reduce the impact of inhibiting constituents, balance levels of organic composites, and equalize the rate of movement. 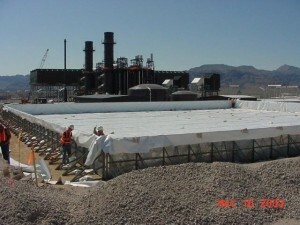 Waste treatment achieves consistent, effective results when conditions are constant. Batch dumping and inconsistent flow rates create changes that affect biological environment and introduces the need for constant modification of chemicals. Equalization minimizes the modifications required for successful treatment. Equalization of flow rates result in superior operation of the entire process. Proper utilization of equalization tanks often reduces the amount of capital expenditures for auxiliary mechanisms. In wet weather regions, equalization tanks play an important role in the critical effects of rainwater overflow and excess sewage. Under such conditions, equalization tanks prevent the taint of drinking water, the poisoning of lakes and rivers, along with the preventing of millions of dollars of property destruction. Thus, equalization tanks not only function as holding tanks to help equalize flow in waste water treatment applications, but also make excellent holding areas for other liquids, agents and chemicals introduced to wastewater treatment systems. 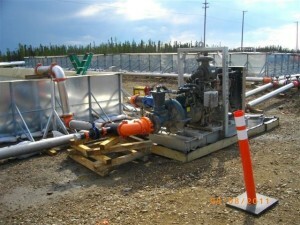 Modutank Inc. offers a wide range of economical modular tank solutions for your equalization requirements. Our tanks are available in virtually any size and capacity in round, rectangular and special shapes to fit your site and requirements. Modular components, designed for hand-carrying and rapid bolt-together assembly, install quickly on any firm level site.